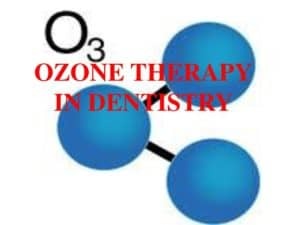 Ozone Dentist Therapy is used to treat common dental problems including dental cavities, gum and periodontal disease, root canal treatment, (bone pathology) and preventative therapy. This service is available in our Burtonsville near Silver Spring and Columbia Maryland location. 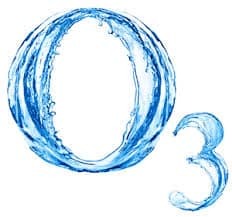 Ozone Oxygen or O2/O3 gas therapy – used in tooth extraction sites to clean the pores of the bone and oxygen to promote healing. Ozone gas is used to clean the pores of teeth during treating cavities. Ozone is also used in treating gum disease. Putting ozone gas into gums for removing anaerobic bacteria and curing periodontal disease. Ozonated Water: Used to treat tooth abscesses, periodontal and gum infections, sore throats, and ulcerations. ozone water is used in all our treatment rooms. Cavity and caries prevention and gum disease prevention. ozone trays are made that fit over the teeth and gums. the ozone dentist will pass ozone and oxygen gas into the tray for a period of time and the treatment is repeated every few months. There are no side effects or chemicals involved. Ozone tray therapy is considered non-invasive and is one of the most effective forms of cavity and gum disease prevention treatments. Prevent root canals and tooth loss. Deep cavities are washed with ozone water followed by ozone gas that often prevents a tooth nerve from dying, thus making a root canal or extraction unnecessary. Disinfect a Tooth prior to placing a filling. The tooth is composed of many porous tubules that may contain harmful bacteria. The ozone dentist can use ozone water and gas can permeate these tubules and kill the bacteria. The ozone gas also oxygenates the tooth pulp and helps restore the health of the tooth. When Teeth are not sterilized prior to placing a filling, bacteria and viruses get trapped into the pores of the teeth. Jaw bone infections in past extraction sites that did not heal properly, called bone pathology. Ozone can treat infection in wisdom teeth removal sites and accelerate healing and decrease swelling and pain. What is Ozone and why ozone dentist? Ozone is a molecule consisting of three atoms of oxygen. It is produced naturally by sun light or by using an ozone generator. Ozone can be used in dentistry with no side effect and no contraindications with other medicine or any medical disorders the patient may have. When ozone molecules split into single oxygen atoms, they can react when coming in contact with a contaminant. Ozone is so reactive that it never fails to initiate this reactive activity. The reduction of air borne infections is scientifically proven. This reaction is all done through the single atom oxidizing the contaminants. As this reaction takes place, it destroys all the contaminants it comes in contact with by changing its physical properties, resulting in the contaminant no longer being toxic or able to reproduce. The additional ozone changes back to pure oxygen, thus making it environmentally friendly. Ozone is basically oxygen with an extra electron. It breaks down to oxygen and release of an electron. In diseased states such as infection, we are deficient. Ozone can reverse the effects of disease and infection with the “oxidative” effiect of releasing electrons.